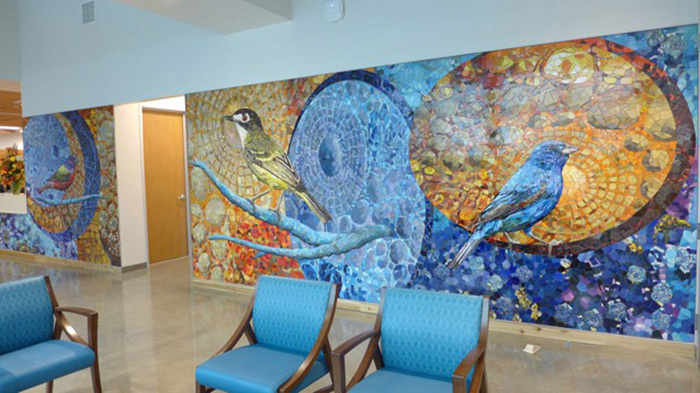 2015 – D-10 SENIOR CENTRE, SAN ANTONIO, TX. 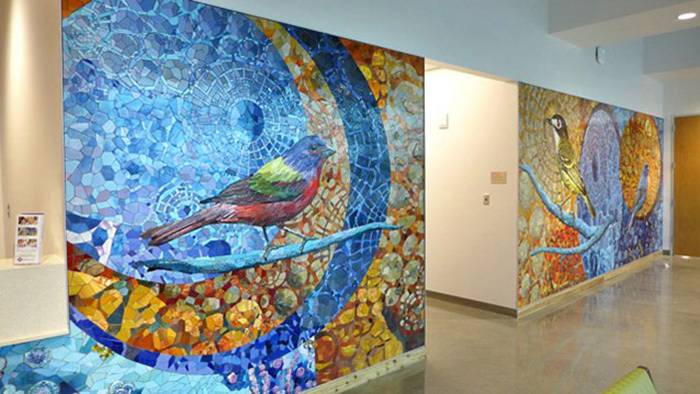 Dixie and Mosaika together again for a project in the reception area of a senior centre. 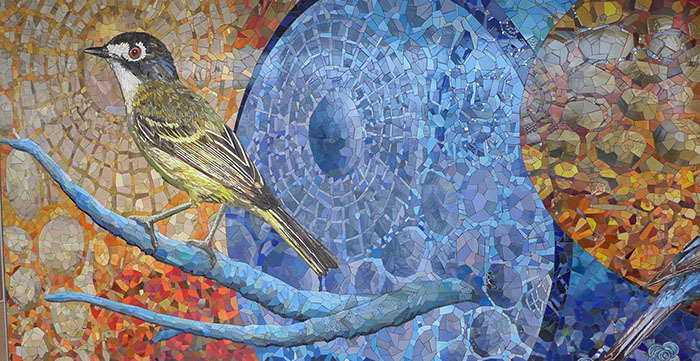 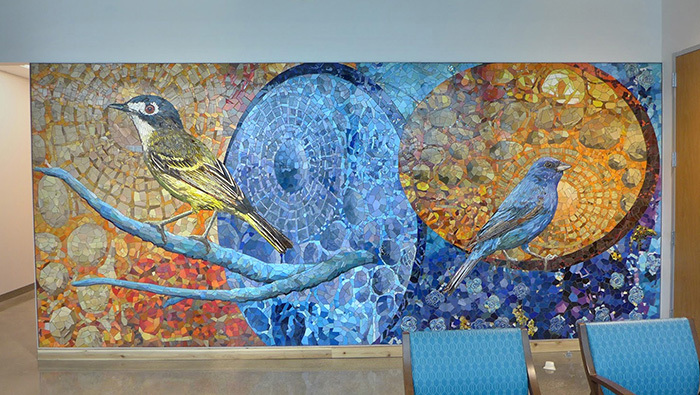 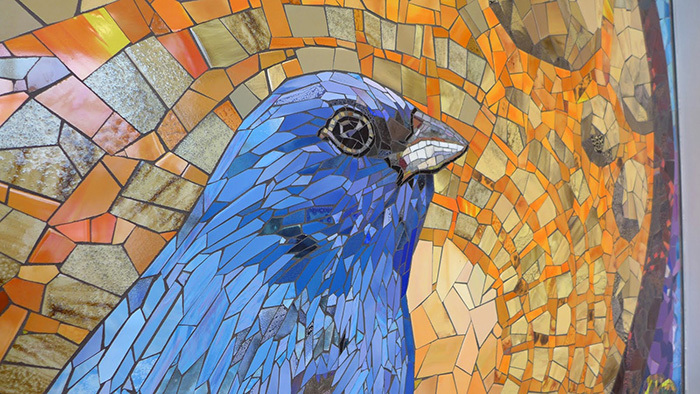 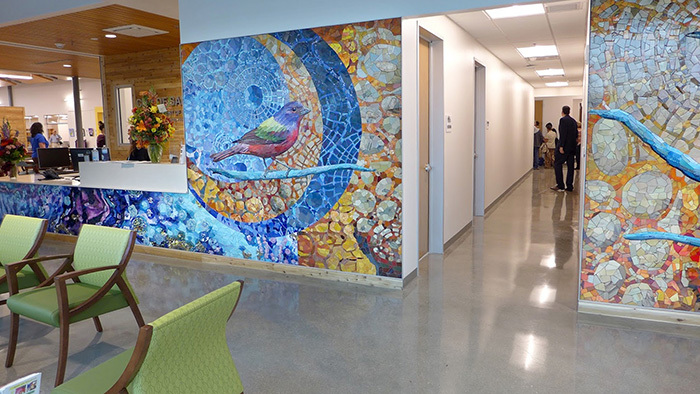 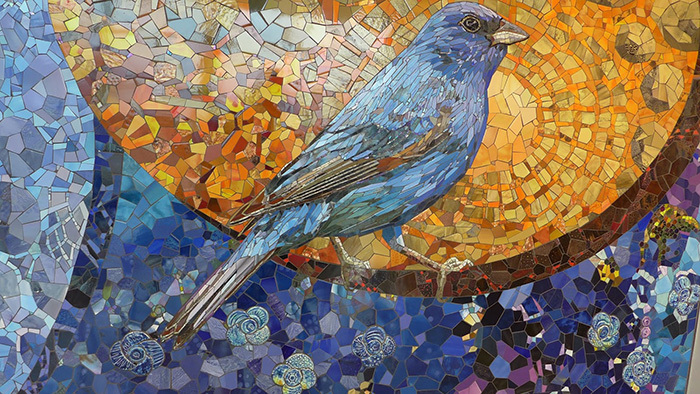 These murals depict native songbirds of Texas using hand-formed and custom glazed ceramics and glass pieces.